A retro design with modern day influences, the Aero Dining Chair Grey has simple style that is set to grace your dining area with the on-trend minimalist look. 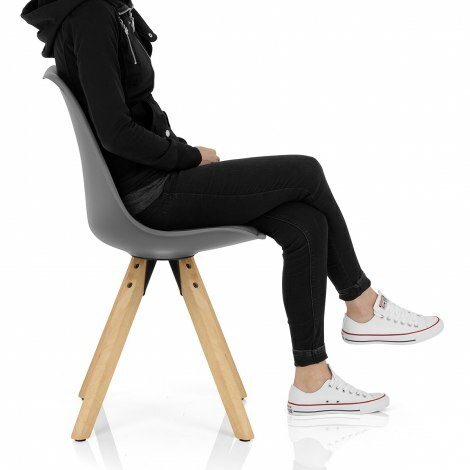 The Aero Dining Chair is a dynamic piece of furniture with funky flair and practicality. Combined with the sculpted grey matte resin seat and backrest, the grey faux leather seat pad brings extra comfort to the ergonomic design. 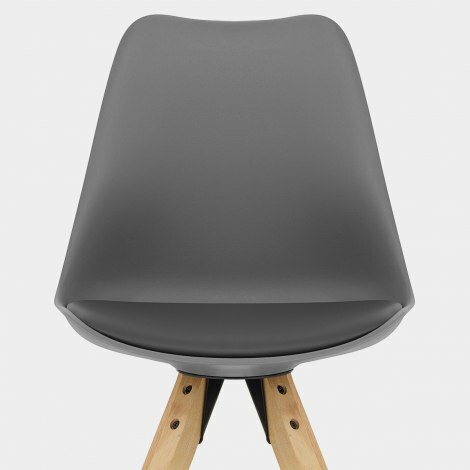 A set of four wooden legs supports the seat, and have a pyramid design for added stability. This design is ideal for a range of surfaces from carpet to tile, due to its protective floor pads on the underside.